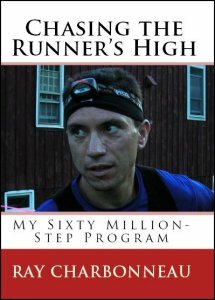 For the last year and a half, since I published Chasing the Runner’s High, I’ve been grinding away at marketing the book. I’ve managed to sell almost 1000 copies, and the profits have been enough to keep Felix and Phoebe in cat food, so we’d all like to thank the people who’ve bought a copy and who’ve helped let people know about the book. 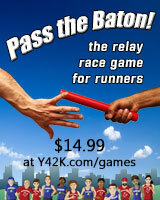 Selling that 1000th copy has become a goal, much like qualifying for the Boston Marathon was ten years ago. Now that I’m almost there, I’d be grateful if you could help spread the word about the book for one last push to make it over the line. 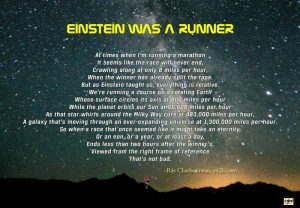 Share the link to the Chasing the Runner’s High site on Facebook, Twitter, Reddit, your running club’s mailing list, your blog, your podcast, or wherever else you might get the attention of someone who might be interested in reading it. Add a personal note if you can – word-of-“mouth” is the best way to spread the word. 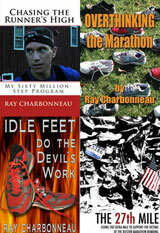 “Like” Chasing the Runner’s High on Facebook and share the page with your friends. And, of course, you can buy the book if you haven’t already. Anyone who wants a signed copy can email me. Tell everyone! And thanks again to all of you who’ve bought a copy, and to everyone who wrote to let me know what they thought about the book. I’ve enjoyed hearing from all of you!